The Hotel Industry is a fast-paced, high-pressure environment that takes a whole network of workers and departments to keep everything running smoothly. Serving a variety of purposes, hotels have the opportunity to provide customers with a great, memorable experience or be a dark spot on an otherwise great trip. As a hotel manager, you are only as good as the team around you. That is why forming and fostering a great team is of utmost importance. This means you need to hire people with the right skills, attitude and character that will help your team achieve your goals. Focus on developing a culture that reflects the goals of the company. Connect with workers and be present in the life of the hotel. As a manager, a compliment and a smile go a long way to developing a positive team environment. Hotel managers are often a jack-of-all-trades because their position forces them to be. If you do not have attitude to learn and innovate, you need to work developing that as quickly as possible. Developing a keen eye to stop problems and areas of weakness will greatly allow your hotel to continue improving and ensure your ability to offer a satisfactory customer experience. Taking hotel management classes or sitting through training may be the best options for those wanting to know how to manage a hotel. Be present to those staying in your hotel and take every opportunity you have to give your guests the impression that you are on their side, ready to ensure a great experience. Greet them at the door as they arrive and leave, welcome them as they arrive and thank them on their way out. Be open and easily approachable, make suggestions to visitors of local areas they might like to visit or inform them of events and specials that are taking place around the hotel. Guests expect their hotel choice to provide excellent safety and security but even the best security measures may not prevent an emergency from occurring. With the possibility of hundreds or even thousands of people staying in your hotel, it is important that you have a clear plan for emergencies. This includes evacuation procedures clearly marked in each room as well as a communication plan for any type of emergency. When running a business or organization, there is nothing as powerful as a mutually-beneficial business relationship. Brainstorm partnerships you can form and benefits you can offer the potential partner, and then go for it! Whether it be offering guests coupons to a local restaurant, offering discounts through tourist destinations, or partnering with local universities and corporations, strategic business relationships can be a powerful way to ensure a constant stream of people are coming through your doors. There are several reasons why hotel and restaurant management professionals need to be web savvy. 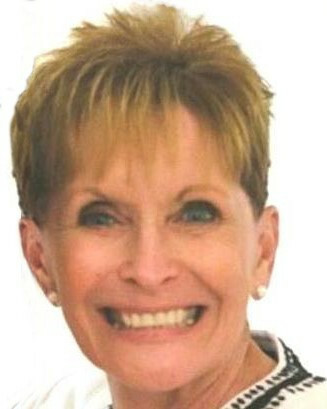 All hoteliers want to know how to better market and brand themselves. Using social media sites like Facebook, Twitter and YouTube is great way to connect with potential customers. An example of a useful YouTube video is to make a two-minute video that captures the top 5 reasons your hotel rocks! Make your website locally optimized for search. This is an easy way to connect your hotel to those looking for a hotel in your specific area. Submitting your hotel's address and website to online Maps and Google My Business will pay dividends for years to come. More and more hotel reservations are booked online. For the convenience of your guests, offer online booking, and make sure your hotel is listed on sites like Expedia, Kayak, and Priceline. Connect your hotel management system to your online booking program and you are able to automatically build an email list for email marketing. Often times a small fraction of customers who had a bad experience are more likely to write a negative review than the overwhelming majority who had a great experience. This can pose to be a problem for those in hotel and tourism management. Being aware of this and taking steps to fight this potential danger is imperative. Try offering incentive for guests to review your hotel on Yelp, TripAdvisor, and other sites where reviews are posted and respond to certain complaints professionally. Hotels need to have the right hotel supplies to be able to maintain their business and daily activities. It is important to have a hotel management software systems, transportation for airport shuttles, the right lecterns and podiums in your conference room, and the right public address systems within the hotel. Daily comforts such as clean towels, bed made, a clean room, toiletries and trash removed must be maintained on daily basis and in a timely fashion. Because being a hotel manager is a 24/7/365 position, you need to make sure you have the right boundaries in place so your job doesn't overtake the rest of your life. You owe it to your family, friends, and health to block out time for important people in your life as well as time for yourself. Consequences of a failure to set boundaries: being burnt out and not enjoying anything you do. #2 The customer is always right. Always! Listen to complaints and don't just fix them, fix the root problem behind them. Turn the weakness into a strength by using the complaint as an opportunity to improve the way your hotel functions. Do everything you can to turn an upset guest's problem into a good story they will want to share of how you went above and beyond the call of duty to ensure their good experience. As a manager, it may seem like you have a never ending list of things to do. Enjoy your guests, enjoy your staff, and enjoy your work. Good attitudes rub off on those around you, and as a hotel manager you have a great opportunity to impact and influence your work environment and to foster hard work and fun. AmpliVox works to strengthen and improve the communities we serve, through innovative programs that channel financial support as well as product and expertise assistance to public service organizations. We care about the world around us, so we have invested in products, people, and services that exemplify that concern. In addition to our hands-on efforts, we also show our dedication to providing care by supporting many causes, events and charities. Do you have a cause that needs assistance? AmpliVox provides product related services to organizations who might not otherwise have access to those services, public and non-profit organizations that has an educational role, raising awareness to better their community. We are currently expanding our Community Outreach efforts and accepting new requests from non-commercial organizations for AmpliVox support. If you would like to see if you qualify, please Contact Us with your story and let us know how we can help? All over the country, breast cancer fundraisers and educational events have featured lecterns in the signature pink color of breast cancer awareness. These podiums are made available by a cause marketing donation program from AmpliVox Sound Systems, which delivers durable all-weather lecterns free of charge to local breast cancer organizations. The Pink Podium Promise, launched in 2010, has placed lecterns with well over 200 groups, including national fundraising and research groups, American Cancer Society chapters, foundations, hospitals, and local governments. At the starting gun in Central Park for the 2012 Komen Greater NYC Race for the Cure, race participants were guided by staffers armed with bright pink megaphones, delivering instructions and encouragement along their route. 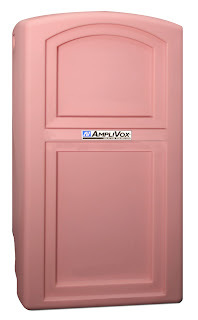 "We’re delighted to supply our pink power megaphones” commented AmpliVox CEO Don Roth. “This event exemplifies the power of people coming together in a big way to accomplish great things, and AmpliVox’s megaphones will improve communication every step of the way." Keeping our manufacturing process close to home has ensured the character of our products, created American jobs, and inspired our employees’ pride in the results of their work. Our committed team of designers, engineers, technicians, and customer service representatives stand behind every AmpliVox product to ensure your complete satisfaction. AmpliVox supplied Half-Mile Hailer sound systems valued at $35,000 MSRP to the eighteen Area Offices of Special Olympics Illinois, for use in crowd management, awards ceremonies, and communication during a variety of events including the annual Windy City Rubber Ducky Derby, Law Enforcement Torch Run Plane Pull, and Summer Games. AmpliVox has also actively supported local community organizations including the North Suburban YMCA, in the firm belief that a strong community enhances both our personal and business lives in the short and long term. Dennis Mitchell’s son was killed years ago by an impaired driver and since then he has made it his life’s mission to teach others about the dangers of drinking and driving. For years Mitchell has been a motivational speaker, sharing his own experience in hopes of inspiring others to think before they get behind the wheel. The quality of our products and the protection of our environment go hand in hand. We continually improve environmental management policies, programs and performance, based on the results of our periodic reviews and taking into account regularity developments, customer needs, technical developments, scientific understanding and community expectations. AmpliVox supports the NAIA as they pursue the development of character-driven athletics, giving students the chance to share their interests and talents in an atmosphere that builds on those values. To ensure that all members on the field and in the crowd can clearly hear the officiating announcements, AmpliVox provided the SW662 Deluxe Wireless Quad Horn Half-Mile Hailer Kit to assist the NAIA's public address needs. 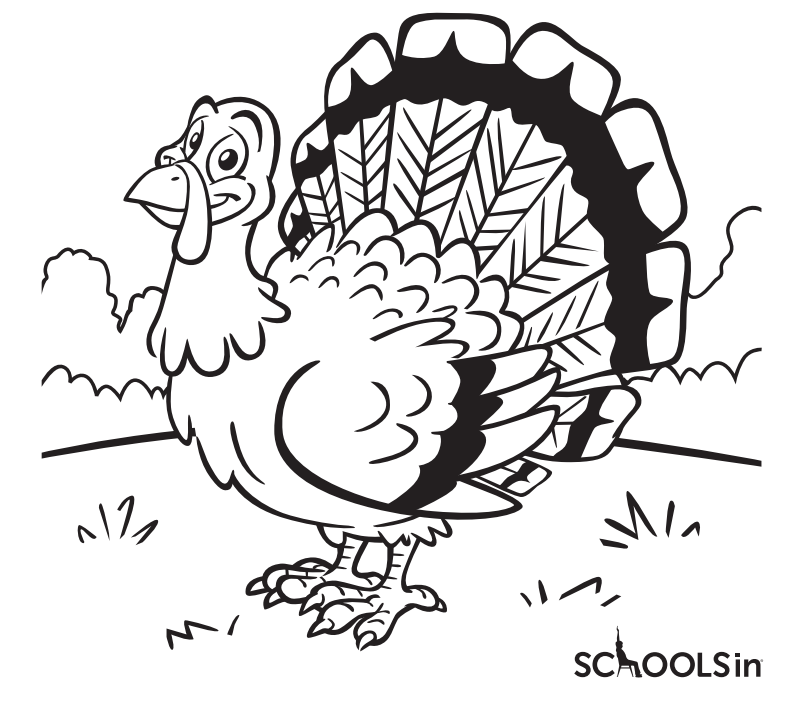 SCHOOLSin ran a Turkey Coloring Contest for grade school classrooms across the country. Teachers were encouraged to let students unleash their design prowess for a chance to win several prizes. AmpliVox Sound Systems served as a sponsor of the contest where the 3rd grade class of the Zion Lutheran Elementary School won an Personal Waistband Amplifier in the SchoolsIn Turkey Coloring Contest.